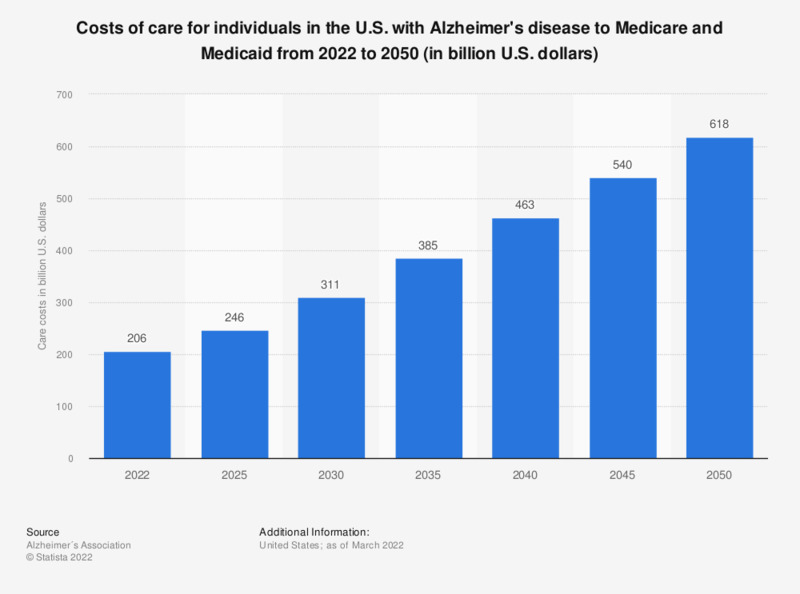 This graph presents the costs of care for individuals with Alzheimer's disease to Medicare and Medicaid in the U.S. from 2018 to 2050. In 2018, Alzheimer's disease was estimated to cost Medicare and Medicaid around 186 billion dollars in care costs. This number is expected to grow to approximately 750 billion dollars by 2050.